TM, that NE article had been posted before but re-reading it makes me mad all over again. I just need to remind myself that hatred makes you miserable, so I'm glad that Joran is eating himself up with it while he enjoys his posh surroundings. I predict that his wishes to see Beth dead will come to reality in reverse order, and on some level, he has to have sober moments when he knows it too. Joran has been rendered utterly impotent and his tantrums don't produce results anymore. He's such a coward. Even face to face with Beth, whom he rages against in his cell, saw him being attentive and polite in her presence. He's a pathetic POS with no future. Where is that TM? Any ideas? GOOD! Joran doesn't need to speak. I think his tongue should be cut out and used as a doorstop. Just sayin'. Peruvian prison authorities have denied Dutch murder suspect Joran van der Sloot the right to speak to Radio Netherlands Worldwide. His lawyer Máximo Altez has lodged a complaint against Peru's legal authorities. Mr Altez said that Peru is reluctant to grant RNW the interview because of general elections in three months. In normal circumstances it is quite accepted for prisoners to speak to journalists from their cell, according to the lawyer. Mr Van der Sloot was jailed on suspicion of killing Peruvian student Stephany Flores in a hotel room in Lima in 2010. The woman's father, Ricardo Flores, is a congress candidate on behalf of the Solidaridad Nacional party. He is being accused by Joran's lawyer of only wanting to "damage" Van der Sloot. Joran van der Sloot himself had already consented to speak to RNW's Latin America section. The 23-year old Dutchman is also the main suspect in the 2005 Natalee Holloway disappearance case, and has hit the headlines more than once with sensational stories about the case which often proved to be ill-founded. This is going to drive me nuts. I've seen it on the history channel or something. It is a place of worship I believe but I cannot remember where. I don't know where the pic of Anita was taken, Klaas. There's a sign, but I can't make out what it says. Wherever it is, Anita looks ready for Clown Camp. Looks like 18 goats have died? Is this goats? Could it be that the "powers that be" in Aruba/Netherland are behind Peru's denial of Joran's request to speak to Radio Netherlands Worldwide and ... the explanation afforded for the denial does not reflect the truth? Could it be that Joran is ticked that his Aruban/Dutch connections in high places have not yet negotiated his release from the Peruvian lockup and ... he is threatening to reveal all in regards to the official cover up in the Natalee Holloway case? Could it be that Tamikosmom is suspecting a conspiracy that does not exist? The scene appears to me to be a depiction of the tomb where Jesus was taken after his crucifixion. The scene appears to me to be a depiction of the empty tomb the morning following the crucifixion. Could these photos have been taken at the Alto Vista Chapel ... the Stations of the Cross? I don't think Alta Vista but maybe another location in Aruba. I'll keep checking. YES - I did send all the information I had on Mr. Pink to the family and the FBI back in 2005 but I take issue with you saying that I claimed the FBI didn't know about him. I never said that and never would assume that. All I was doing was sending information obtained IN CASE they hadn't seen it. The deafening silence and time lapse encompassing the decision of the 4th Peruvian judge regarding Joran's confession and ... now the attempt to silence Joran who wishes to speak to the Dutch media ... causes me to speculate that there is stuff going on behind the scenes. Could it be that there will be an negotiated settlement between Holland, Aruba and Peru ... an negotiated settlement that implies that Joran will meet his demise within the confines of a Peruvian lockup. Aruba/Holland will be off the hook. Both Aruban and Holland will no longer fear the mouth of Joran ... the mouth that has the ability to reveal at any given moment those involved in the corrupt investigation that has prevented justice from prevailing for Natalee Holloway and ... the dirty little secrets why justice for Natalee Holloway was never an option. 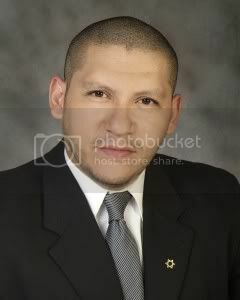 Also ... Richard Flores ... who doubts that Peruvian justice will prevail for his daughter ... will be appeased. I believe with all my heart that Aruban Justice will forever remain elusive for an 18 year old American citizen but ... the Natalee Holloway case will not become a faded memory. Aruba will be haunted for another 35 years by a mother who will not give up ... who continue to be a voice for her daughter. BETH HOLLOWAY TWITTY, MOTHER OF NATALEE HOLLOWAY: ... I have told Prime Minister Oduber that I will do this, I will be the voice of Natalee for the next 40 years. And I hope I have that long, because I will do it as long as I can. 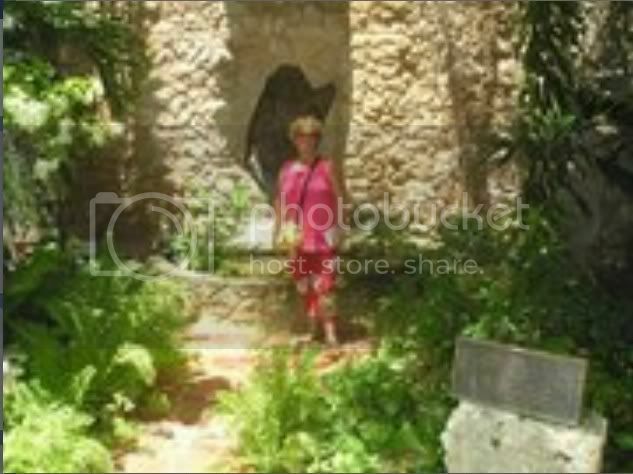 There is a Lourdes Grotto, in Aruba....but....these pictures seem to have too many ferns. I think it's mostly succulents around that Grotto. There are Grottos on many of the eco tours. It's probably in Peru. I was hoping someone else would know. I was thinking it might have been from the "spiritual journey" or whatever it was she supposedly took sometime before Paulus played his last round of tennis. Someone mentioned it in a message to her. But that's just a guess, and I have no idea where she supposedly went, I want to say somewhere in Asia but I'm not sure. Tuesday, 01 February 2011 5:42 p.m.
ORANGE CITY / LIMA - Joran van der Sloot is still in custody in the Castro Castro prison in Lima, Peru. He entered his eighth month of which up to nine months in custody. However, this time by the court could be extended once for nine months. Then the suspect charged or released. It says the Peruvian lawyer Sandro Monte Blanco in an interview with lawyer Wedzinga Wicher. Monte Blanco, who in the early stages of the case as a lawyer involved in the case of Joran was surprised at the fact that the authorities still not Joran sworn interpreter in an interview arranged to attend. The government-appointed interpreter who Joran has assisted in the initial stages, may have been biased. This strategy aims to Joran's current lawyer Maximo Altez avoid the Joran confession then took off, can be used at trial. Considering Anita's spiritual leanings ... you could be right. Sandro Monte Blanco (pictured) is surprised by reports in Peru and the Netherlands over the trial against Joran van der Sloot. As CEO and senior partner of a prominent Peruvian law firm (Peruvian Law Company), he strongly criticized the judicial process against Joran and it is for him to be seen whether a conviction will follow. Lifelong Joran will not get anyway as Joran and behaves well, he can be released within 25 years. "Actually I'm accustomed to people thinking That our judicial system is anything less then a modern one. I Grew up in the United States and cameras to Peru some 10 years ago Basically for the first time and then I was too shocked at what I found. So I am pleased That You Have Been Able to shed some light what our system is like writing, we respect due process, human rights and everything else That can-guarantee that you everytime person is Guilty Until Proven Innocent ". The criminal justice system in Peru is in some ways more progressive and humane than that in our country. Thus, the defendant entitled to a lawyer at the police interrogation. A foreign defendant as Joran, who does not speak Spanish, is entitled to a sworn interpreter. Joran right of the latter to the surprise of Monte Blanco hitherto been denied. The government-appointed interpreter who Joran has assisted in the initial phase may have been biased. At that stage was Monteblanco as a lawyer involved in the case of Joran. Speculation that Joran before or during his detention will be extradited to the U.S. indicates Monteblanco flatly: "A snowball's chance in hell Wicher, he'll be tried and (if found guilty) Convicted IN PERU and he willing serve His sentence IN PERU, no if's, and's or but's about it. " "He confesses to her enforcement killed in question number 20 but he says something Very Important That May Be Laying ground for something later on as part of His defense, he says" I lost control of my actions, I did not know what I was doing ... ". He goes on to say "... I remember what I was doing but not the motive, it was an impulsive act as a result of being hit in the head". Would have Kept her mouth shut and simply gotten out of there Safely. " "Lastly, I saw video from today When Joran was taken to the prison and interesting That When He was asked by the officials at the prison why he was being arrested, he replied" I am Suspected homicide or ... "when it was only a couple That of days ago he confessed That he was the killer. I keep wondering about this guy, I know he HAS an ace up His sleeve I just do not know when he is going to pull it out and use it. " Joran is now about eight months and, according to the Peruvian criminal law after nine months to be released, but according to Monteblanco the court has the option period for another nine months. Then Joran a statement about what happened on that fateful day, and he officially denounced as there is sufficient evidence. "The Fact Remains That the Lack of a registered and official translator is a fault of the Peruvian courts and not Joran. The change of the current hostname not yet performed is not a strategy but if Joran Rather yet another display of the infinite wisdom of our judicial Authorities. Now the fact That Joran HAS not wanted to give His Testimony is entirely His choice, whethere it be a strategy or His His personal Immediately choosing this does not point to him as guilty. " According to media reports the girl would Joran Stephany Flores have been killed and robbed her. When Joran would be convicted of murder, acting in accordance with Article 106 of the Peruvian Penal Code imprisonment of at least 6 years and look forward to more than 20 years. If it is proved that the murder was committed "with ferocity," Facilitate or to cover another crime "or" with great cruelty and treachery "Joran up to 25 years imprisonment. If he behaves well, it may be partially waived. Of a life sentence, as we have in the Netherlands in Peru no question. ORANGE CITY - The investigation of the Blackberry of the murdered Poentje Castro can take months. Releasing secure ATM and data messages time consuming and requires great care. This says Angela Ann, spokesman of the Public Prosecutor (OM). The team of detectives investigating the murder has been extended. Two prosecutors are leading the research. The prosecution is based on different scenarios for the murder. The mobile phone Castro has been available in the possession of the Dutch Forensic Institute (NFI). There will we try more all pin and data messages to identify. Past Friday, the cost of This study adopted by the public prosecutor. Exactly how much of the research is paid, Angela does not say. High the cost in any case does and there is no guarantee that all messages from the device can be achieved. "Data messages on a Blackberry have a heavy encryption. This should NFI very careful go. There is always a chance of data loss can go. We hope this will not happen, "says Angela. Depending on how much data is stored on the Blackberry, can take months everything is out, the spokesman said. "Is there a relatively few data, then The shorter, but this time is not yet clear amount of memory the device is used. " Poentje the murder of Castro. What scenarios are exactly that, to the Public Justice does not give up, said spokesman Angela. But she says that the team Large scale still still in force and that The team of fourteen investigators is expanding. According to Angela and they are days night working on just this case. Also, the case led by two officers Justice. "Thus, the continuity of research promoted and well thought two heads of course think better than one. " Page created in 6.244 seconds with 19 queries.